Gov. 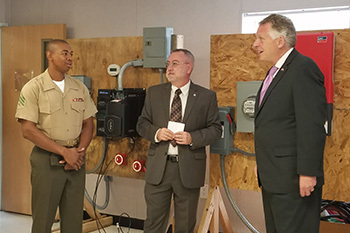 Terry McAuliffe toured Tidewater Community College’s renewable energy labs on its Chesapeake Campus on Monday and praised the role community college plays in training the workforce to fill the jobs of tomorrow. representative for Rep. A. Donald McEachin. 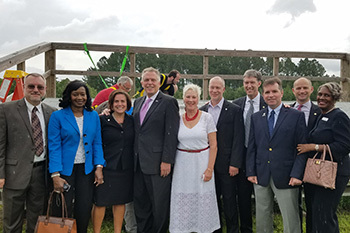 The visit was the final stop on McAuliffe’s Clean Energy Virginia Jobs Tours, which highlighted his executive order to cap carbon emissions in Virginia and create the next generation of Virginia energy jobs. Solar jobs have increased 65 percent in Virginia in the last year alone, he said, making the commonwealth one of the fastest growing solar job markets in the nation. Since 2010, TCC has offered a Career Studies Certificate in Renewable Energy Technologies that prepares students for careers in the manufacturing and installation of clean energy technologies such as wind and solar. Working labs with solar arrays and wind turbines enable students to gain the skills they need. Student training included installing the modules to collect solar and produce energy for two TCC buildings – the George B. Pass Building and CT-3. 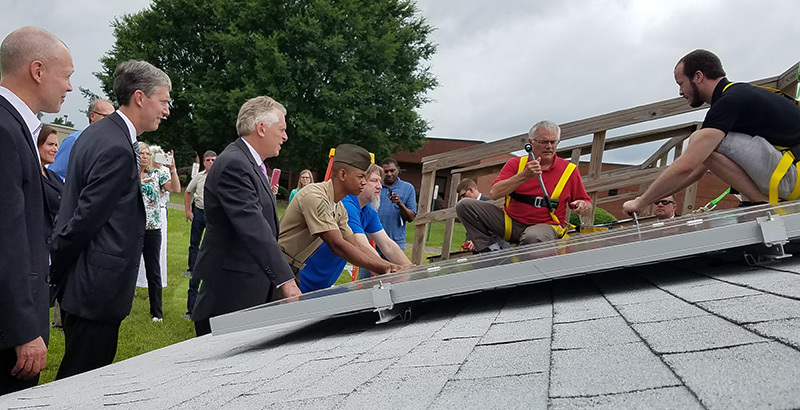 Beginning in 2015, TCC partnered with the U.S. Department of Energy and the U.S. Navy Region Mid-Atlantic on the Solar Ready Vets program to train transitioning military for careers in the clean energy industry. The solar energy field expects to add 36,000 full-time people every year for the next six to eight years.